Check out our new hot find in metronome/tuners! 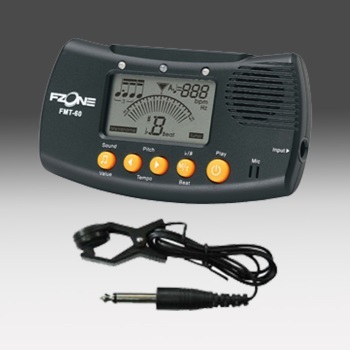 The FMT-60 acts as both a metronome and a tuner. The metronome ranges from 30-280 beats per minute and the tuner can pickup sounds through its built-in microphone or tuning clip included. All of these features are included for just $20.00!